What’s the one beauty product you couldn’t live without, even if you were stranded on a desert island? BB cream? Lash extensions? Lip balm? For me – no contest – it’s nail polish. I can’t get enough of the stuff. I’d drink it if it weren’t toxic. 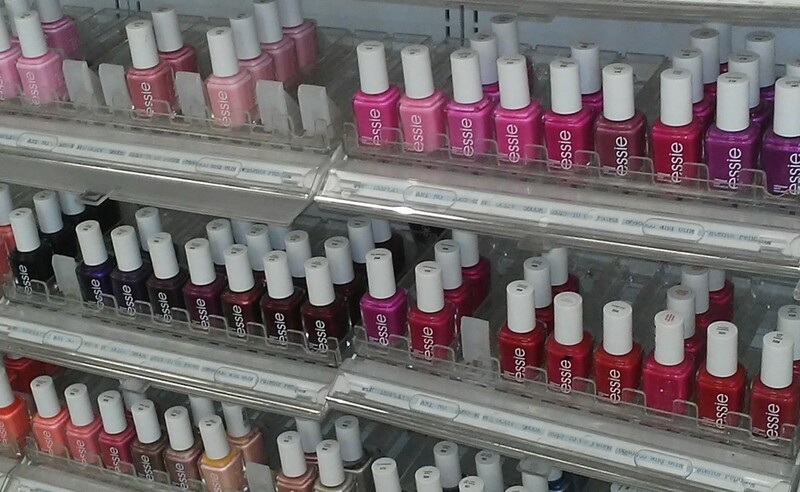 When I was a teenager, the lady who lived next-door shared my love of nail polish. She stored hers in the little egg holders on the inside of her refrigerator door because, she explained, the cold temperature helped prolong the shelf life of the polish. By the time I was grown and had a place of my own, refrigerator doors no longer came equipped with egg holders, so I bought a Lucite organizer for my nail polish and have kept it refrigerated ever since. My fascination with nail polish goes way beyond painting it on my fingers and toes. When I’m on the subway, in line at the store, or at a social event, I always notice the nail polish other women are wearing. At a recent family gathering, the lady in red had a clean and classic French manicure, and the child of the ‘60’s painted her nails midnight blue to match her cocktail dress. My basic black ensemble needed a pop of color so I went with a vivid fuchsia. In a January 2016 blog post, entitled “Man Buns” I went on a rant about the onslaught of guys wearing their hair up in little ballet dancer buns and hypothesized about what might come next that could be even more cringeworthy. Jokingly, I suggested men wearing nail polish. But this is no joke. And as alarming as it may be, it has come to pass. A few days ago, a millennial wearing the grad student uniform: baseball cap, graphic tee, khaki shorts, and sneakers stepped onto the train. After he sat down next to me, he reached into his messenger bag for a book. That’s when I noticed his finger nails were neatly painted a garnet red metallic that I’m pretty sure was OPI’s “I’m Not Really A Waitress.” I was aghast. Some women are forever searching for the perfect little black dress. When they finally find it, their joy is so profound that a national holiday should be proclaimed. Me? I believe just as there’s more than one Mr. Right, there’s more than one perfect little black dress out there. My first perfect LBD came in my mid-twenties courtesy of a talented seamstress – my mother. Sewn from a Vogue pattern, it was truly a custom fitted garment. The simple jersey shift that hit just above my knee, with a boat neck and three-quarter sleeves was anything but simple because, when I turned around, the dress featured a daring, plunging, V-shaped back. I wore that little number on dinner dates, on New Year’s Eve, to the theatre, and to one very memorable cast party with a group of quirky but hunky Shakespearian actors. In my thirties, when all of my friends were getting married, I found the perfect LBD on a sale rack at Needless Markup aka: Neiman Marcus. Reminiscent of the iconic long black gown Audrey Hepburn wore in Breakfast at Tiffany’s, this sleek, silk dress was ankle length, but with a deep slit up one side. Even though I didn’t wear Holly Golightly’s opera length black gloves and tiara, this dress was magical, for it made me look taller and thinner than I am in real life. It got me through the wedding blitz, and eventually I donated it to a young classical musician who needed a formal black gown for her performances. My cousin’s upcoming wedding is cause for celebration, and for yet another perfect little black dress. I was delighted to find a vintage-style, tea-length dress, embellished with appliques and lace, and a label that promised it was machine washable. Although not my usual style, it was Boho Chic, like something Stevie Nicks would wear. I liked it because it was different, and all was right with the world. Until I washed it. Despite following the care directions, when I took the dress out of the washer, I was horrified to see that the applique work had unraveled. The dress was ruined. With the wedding only two weeks away, I made the rounds at several fave dress shops. Bad news travels fast, and one of the sales ladies had heard about “the woman with the shredded dress” and was eager to help. The shredded dress turned out to be a happy accident because it brought me to my new perfect LBD. This one is timeless, ageless really. And since I’m now a woman of a certain age, timeless and ageless is a good thing. This ladylike sheath dress is sublime, with delicate capped lace sleeves and the same lace yoke around the gently rounded neckline. I will wear this one for a long time to come. 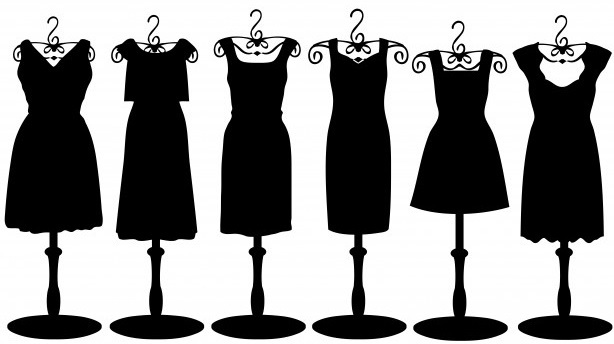 Just like the men who come into our lives, who are the perfect fit, at a particular time, so are these little black dresses. Be assured ladies, this is no urban myth – there really is more than one Mr. Right and more than one prefect little black dress for the taking.